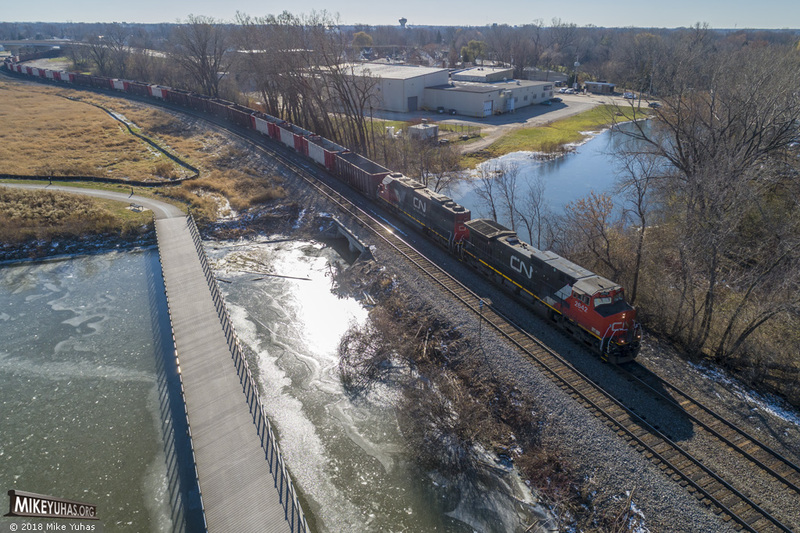 CN train O48971-15 heads north at Neenah with 90 empty Herzog ballast cars. Train will continue through Stevens Point, hang a right at Junction City, and proceed north on the Valley Subdivision to Mosinee. The crew will tie down the train for loading at the Mathy aggregate quarry.